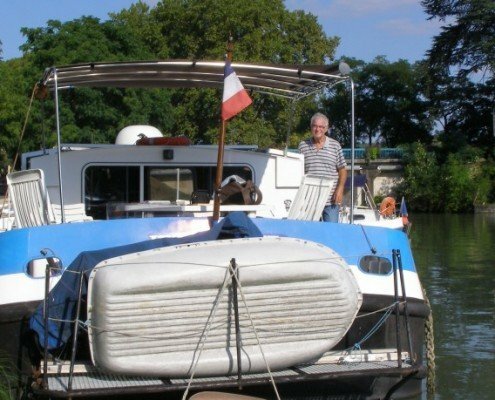 Jean has been sailing for more than 13 years on the european inland waterways network. He has decided to navigate to Aigues Mortes via the Canal du Midi. He therefore has availability for up to 2 people to accompany him on Canalfriends Boatstop and discover his passion for the canals. You may book to accompany him for 1 or more days and sleep in the available cabine. Return journey also possible by train from a number of villages on the Bordeaux/Sete line. From + or– 20KM/per day dependnat on the number of locks and passage on the canal.